Congratulations to Marcus Grodi and Journey Home for 20 Years! Marcus, congratulations on 20 years of excellent and super beneficial broadcasting. You’ve become a household name and your shows have helped millions of people. You are a great friend and have my admiration, love and congratulations. I never dreamed this would happen — and I don’t think Mother Angelica did either — but this fall we begin the 20th Season of EWTN’s The Journey Home program! I don’t have the exact number, but I would estimate that I’ve had the great privilege of interviewing close to 900 converts and reverts since that first interview with Dr. Thomas Howard in September 1997. Though The Journey Home is an EWTN program, it has always — and in some ways unintentionally — had a direct relationship with the Coming Home Network International. 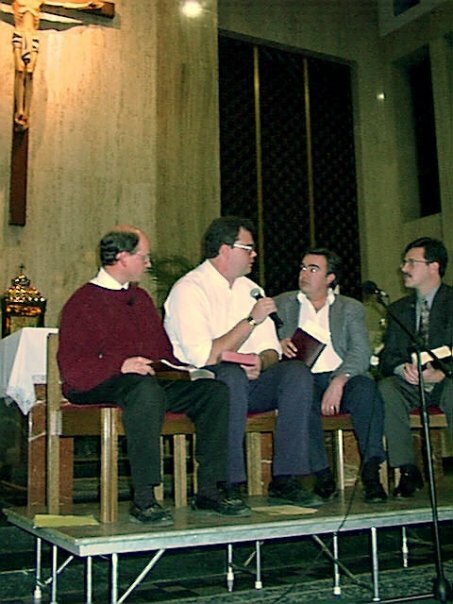 Back in the spring of 1993, the “Network” began as a simple newsletter that connected non-Catholic clergy who were on the journey with clergy converts. 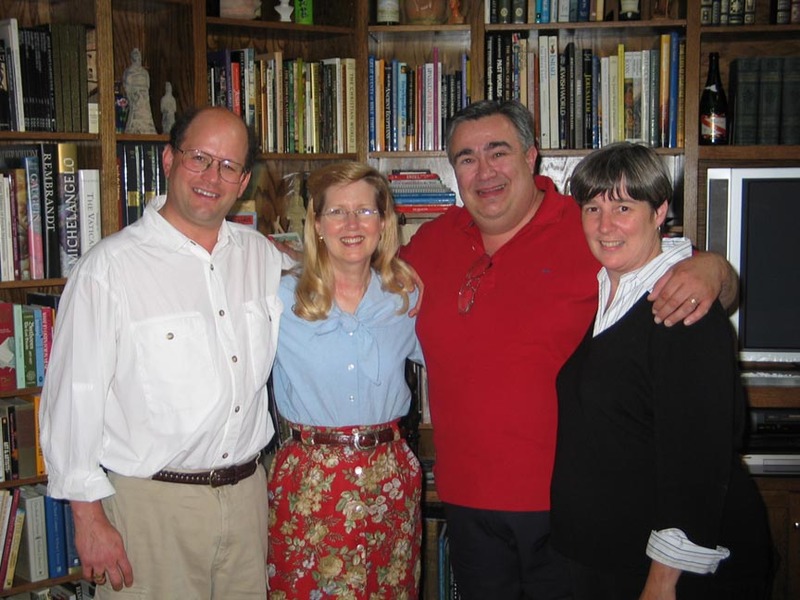 Three years later, June 1, 1996, was the official start of the now non-profit lay apostolate, with the new name, the Coming Home Network International. I had resigned from Franciscan University of Steubenville specifically to focus full-time on managing the escalating membership of inquirers, converts, reverts, and life-long Catholic supporters. In July of 1996, I was invited to appear on Johnnette Benkovic’s program, The Abundant Life, to talk about the work of the CHNetwork. Dr. Scott Hahn, Jeff Cavins, and Dr. Kenneth Howell appeared with me, and during the taping, the producer for Mother Angelica’s Live program, heard our conversion accounts, and invited Ken and me to come back and do the same on Mother’s program. It was after this appearance in December, 1996, that Mother Angelica and Executive Producer Doug Keck invited me to host a new, weekly live program in which I would interview converts and reverts to the Catholic Church. 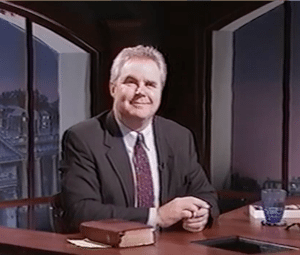 The program began with Dr. Howard’s interview, and now nineteen years later, the Holy Spirit continues to provide inspiring men and women to tell their stories about how they “came home” to the Church. For the first twelve years of the live program, I flew every week from Columbus, Ohio, through either Cincinnati or Atlanta, and on to Birmingham, Alabama. There, first on Friday nights and then on Mondays, I would meet briefly with each new guest and then help them tell their stories on live television and field questions via telephone or email. After a night’s sleep, I would grab a plane home in the morning to return to my family, to my work with the CHNetwork, and sometimes to chores on the farm. 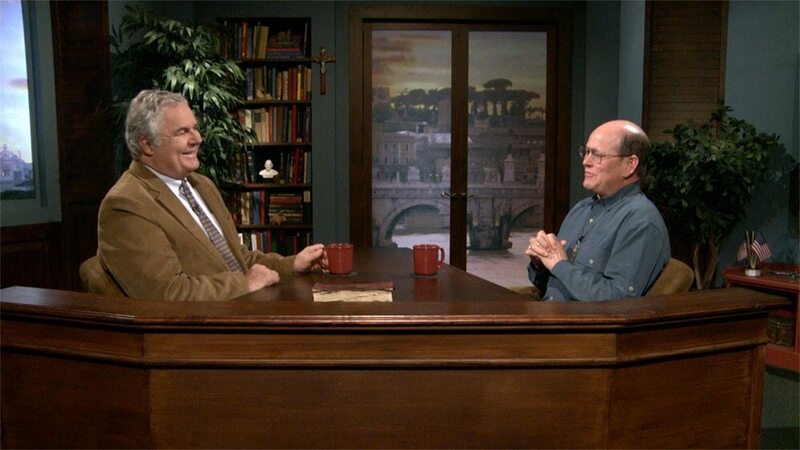 Though the program has always been EWTN’sprogram, from the beginning the majority of guests have been members of the CHNetwork. And from the beginning of the broadcast, the membership of the CHNetwork has grown as a direct result of the program. Then starting in 2009, through the encouragement of EWTNand through your generosity, we were able to build a fully functioning television studio here in the basement of the CHNetwork. We began tentatively taping the programs here, until now our staff produces the entire program — Scott Scholten, producer; Bill Bateson, technical supervisor; Mary Clare Piecynski, emails and prompter; and Jim Anderson and others manning the third camera. Now instead of a two-day trip from Ohio to Alabama, I drive just seven miles from our farm. It is important to state that EWTN and the Coming Home Network International are separate apostolates. However, I do want to emphasize that it is only through your financial support and prayers that the CHNetwork is able to produce The Journey Home program for EWTN in our studio — which you built! Thank you! I continue to pray that the stories shared on The Journey Home program are an encouragement to your faith, and that by God’s mercy, the program will continue to inspire many to consider, maybe for the first time, the truth and beauty of the Catholic Church. Explore 20 years of the Journey Home Program and other Catholic conversion stories here at CHNetwork.org/stories! This article is a great read and inspires one to hope for the faith and country. 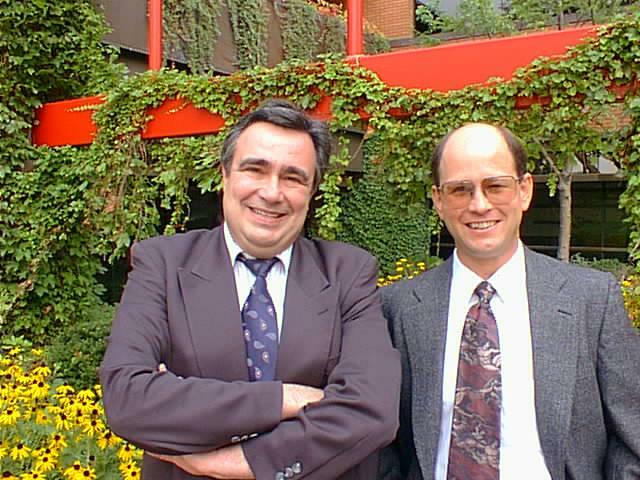 Al Kresta and I have been good friends since 1983 when I first met him upon my return from living in Switzerland. From that point on we have been great friends. We were men with kindred spirits and a similar love for truth and an honest search for God. Al played a huge role in my conversion to the Catholic Church and we continue to be good friends now. There are few people I respect as much as Al Kresta. This article by John Burger in Catholic World Report is entitled Al Kresta: Catholic Missionary Looking Inward, then Outward. It is an easy read and a wonderful introduction to Al Kresta and the many facets of his amazing life. It was my pleasure to share a few thoughts with John Burger for the interview. I hope you enjoy it. Here is an excerpt: At 62, Kresta has spent a lifetime searching for that Christ, coming to know him better and finding ways to make him better known. He regards himself primarily as a missionary, whether he is on air, producing Catholic programming, organizing conferences, writing books, or simply being a husband, father, parishioner and neighbor. “Al Kresta is a broadcaster, journalist and author who is, first of all, a missionary,” says his bio page at Ave Maria Radio, where he serves as president and CEO. It was not always thus with Albert Kresta. His early life and detours through drugs, the New Age movement and other distractions are documented in Surprised by Truth: 11 Converts Give the Biblical and Historical Reasons for Becoming Catholic (ed. Patrick Madrid, 1994, Basilica Press). “Back then, kids would take a flight at anything, just to experience it,” said Kresta’s mother, Alice, in an interview. Kresta grew up in a Catholic family in the New Haven, Conn., area and showed early promise, excelling at a Catholic high school. His mother recalled how some of the foster children she took in at the time would climb on Al’s back—and how he took a special liking to them. But he was 14 at the time, and the cultural winds of the 1960s soon changed him. He played in a rock band and was arrested twice for possession of illegal drugs, which he also was using, and he ended up with a two-year suspended sentence. He stopped going to church and wound his way through strange religions, pursuing gurus in various parts of the country. Al is not just a convert, a radio personality, author and media personality, he is truly a prophet for the 21st century. In a blurb for his book I suggested that people ignore his message to their own detriment. Read the whole article HERE, visit his website and blog HERE and buy his exceptional new book HERE. 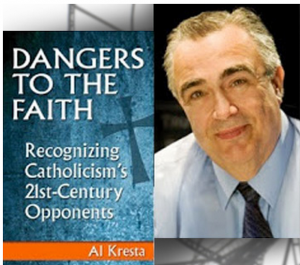 Catholic World Report’s full interview with Al Kresta HERE. The three Bible experts from the Dominican Sisters of Mary, Mother of the Eucharist, have secured a spot in the May 23 finale of “The American Bible Challenge” game show. Now, the sisters are hoping to win the “fan favorite” contest by winning the most votes from viewers. From today through Sunday, May 19, fans of the American Bible Challenge can go to gsntv.com to vote for their favorite team, which can potentially win $10,000 for the team’s charity. If the sisters win the fan favorite competition, it will be another means for the sisters to raise funds to help their aging women religious. The voting results can be tracked here: http://gsntv.com/shows/the-american-bible-challenge/fan-favorite/?results=1&voted=1200. The team with the most votes at the end of the voting period will receive $10,000 for their charity and earn the title of The American Bible Challenge Fan Favorite. The Fan Favorite winner will be announced during the finale of The American Bible Challenge on Thursday, May 23. Limit one vote per person, per day. The three nuns, Sisters Peter Joseph, Maria, and Evangeline, are part of a community of nuns founded only in 1997 in Michigan. Now the group has more than 120 sisters, many of whom are in their 20s. Sister Peter Joseph spoke with ZENIT about the experience of evangelizing through a game show. Teresa Tomeo and Steve Ray were in Bethlehem together on Friday. They broadcast live from Shepherds Field, click HERE to listen. Me with Teresa Tomeo, Tom Loewe and John Hale fund-raising at Ave Maria Radio. Send a pledge. Call 877-288-1077. The “Kids are Pilgrims” video is here. 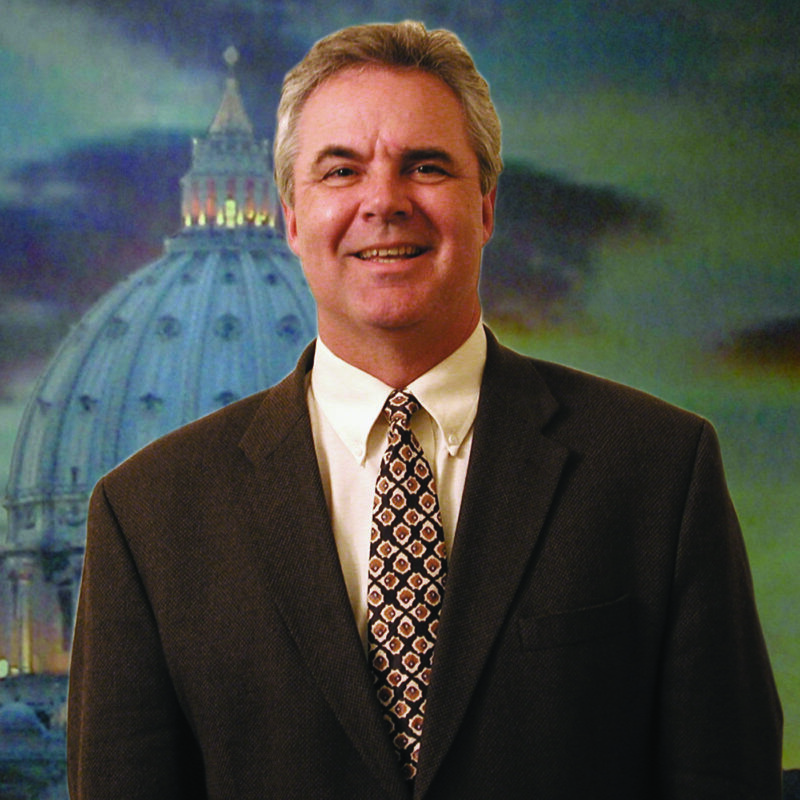 I will join Al Kresta on Ave Maria Radio from 3:40-4:00 PM Eastern to discuss Sts. Joachim and Anna, parents of the Blessed Virgin Mary. You can listen online at www.AveMariaRadio.net. Catholic Answers has just uploaded a 15 minute video about their ministry with all of its facets. It explains their work of Catholic evangelism and ministry. I endorse Catholic Answers! You can see their video here.